New Delhi, Feb 11: Days after over 10 lakh examinees skipped the state board exam midway, Uttar Pradesh Chief Minister Yogi Adityanath emphasised on the need to make examinations simpler saying a fear of exams has been created among students. “When we said let’s conduct a cheating-free exam (then) 10 lakhs students dropped out. This is the figure until now. I don’t know what will happen in future,” Adityanath said. “We are observing and we will not leave it at this. It is necessary to think on how exams could be further simplified,” the CM said. He also noted that exams should not be looked upon as a challenge but as a part of the daily routine. 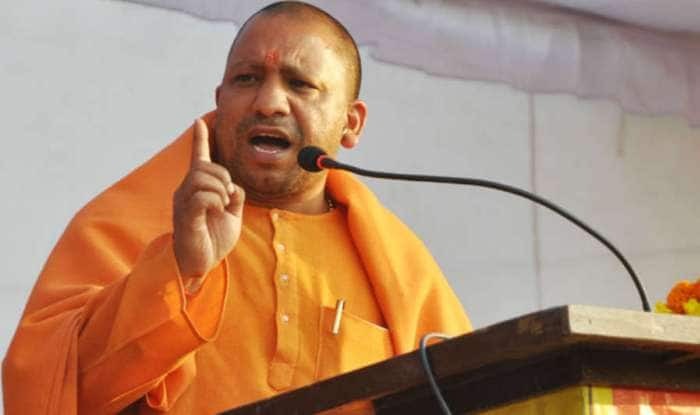 Citing an example of a ‘kanwar yatra’ from Ghaziabad- Haridwar in which, he claimed, over 4 crore people took part last year, Yogi said,”When I took stock of the situation, I was told that several instructions had been given to avoid any untoward incident. The officials said we have stopped the use of mikes, conches and bells,” he said. Adityanath said he asked the officials why were they trying to impose a ban on the yatra. He said the officials that its route was passing through sensitive areas and it was difficult to man them. “I said permit people to use mike, conches and bells as per the Supreme Court guidelines. Inspire people so that they themselves welcome the yatra and be part of it,” Yogi said, adding that there were no disturbances during the procession. He asserted that had the government put barriers then it would not have been easy to undertake the pilgrimage. So, parents and teachers should not impose any kind of barriers on students and provide them with a conducive climate to cope with exams, he said drawing a parallel with the pilgrimage. Earlier on Friday, it was reported that over five lakh students of class 10 and 12 left the UP board exam midway due to a massive crackdown on cheating by the Yogi Adityanath-led Uttar Pradesh government. Deputy chief minister Dinesh Sharma, who is in charge of education had said that the government was committed to ensuring merit in the education system and at no cost will copying be allowed. “We will not allow anyone to copy, cheat and usurp the right of meritorious students,” he added. The UP Board Exam 2018 began on February 6 and will continue till March 12. A total of 66,37,018 students – 36,55,691 class 10 students and 29,81,327 class 12 students – had registered for the Uttar Pradesh board exams 2018.